The digital cryptocurrency Bitcoin has gradually gained traction over the last few years as a viable payment method for goods and services online. Just in the past few months, the number of companies accepting Bitcoin has jumped following an explosion in the value and popularity of Bitcoin. At Carriage Nissan, we have watched the development of the currency closely, and we are now ready to accept payments for vehicles in Bitcoin. 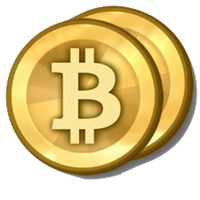 Bitcoin is an open source person-to-person electronic tender that uses cryptography to have secure and transparent transactions. Many precautions are in place to prevent double-spending and money transfers are impossible to duplicate. Bitcoins have been around for years but it wasn’t until two years ago that they started to enter the realm of consumer adoption. While Bitcoins and the technology which surrounds them has much work to do in becoming mainstream, we feel that in our effort to serve the needs of our customers, it was time to accept the digital currency at Carriage Nissan. All Bitcoin payments are securely handled through the payment processor Bitpay (located in Atlanta, GA). Only Bitcoin payments that can cover the full price of the vehicle including tax, tag and title can be accepted at this time; finance and lease options are currently unavailable. To find out more information or if you are interested in speaking to one of our sales consultants to schedule a test-drive for your next vehicle, please send us an e-mail to bitcoin@carriagenissan.com.